John Sutch Cranes used their new 350T Liebherr crane to lift a new concrete footbridge into place in Dalton-in-Furness, Cumbria. 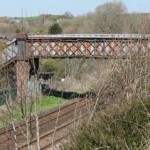 The crossing, known locally as “forty steps”, spans the railway tracks to link the village which is set either side of the railway line. 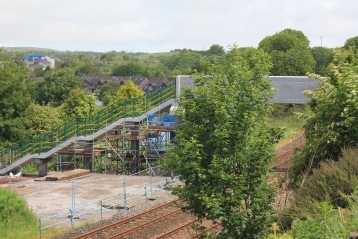 To complete the work, the footbridge was closed in April this year and the new footbridge opens at the end of July. 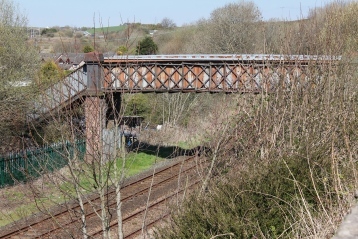 The work was planned to cause minimum impact on local people, while ensuring the electrified line was not disrupted. The challenge of this project was the restricted access to the site caused by the narrow roads through the village. 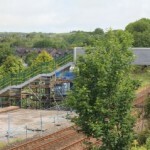 Initially the works specified a 500 Tonne crane, but due to the physical size of a 500T Crane, there was no access through the village to the site. 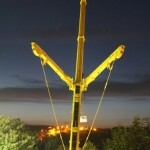 John Sutch Cranes came up with an alternative solution which made use of their new LTM1350 mobile crane. This crane has a Y guy system and an extremely compact design which improves the cranes capacity without increasing the footprint. 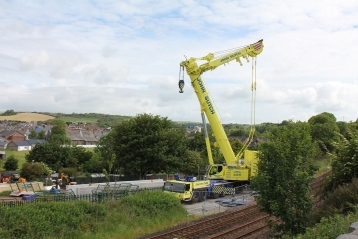 Using the John Sutch team’s expertise we re-engineered the job to change the crane positions, reducing the working radius while maintaining the clearances required by Network Rail. This allowed the use of the 350T Liebherr crane which has an extremely compact design enabling access through the narrow village streets. 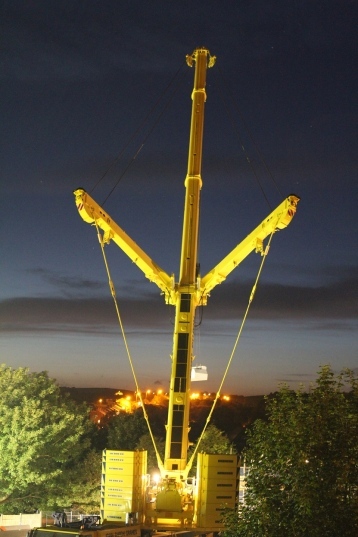 We see our LTM1350 crane operating in projects similar to this and any projects where space is at a premium such as docks, chemical works, construction sites and city centres.